What is process of Kidney Transplant in India? Which is best Kidney Transplant Surgeons in India? Kidney transplant is recommended to patients whose renal function is severely disrupted due to damaged kidney(s). The kidneys may get damaged and lose their ability to function properly as a result of an internal condition or a disease, including diabetes, hypertension, and glomerulonephritis. End-stage kidney disease (ESKD or End Stage Renal Disease ESRD) patients who are rendered fit for a kidney transplant in India can safely undergo the procedure at one of the best hospitals in the country. To check whether they are eligible to undergo a Renal transplant or not, they can have a virtual consultation with the doctor through Medmonks’ complimentary service before they plan their trip to the country. Medmonks also ensures they get second opinion on their clinical condition from some of the leading nephrologists in India. 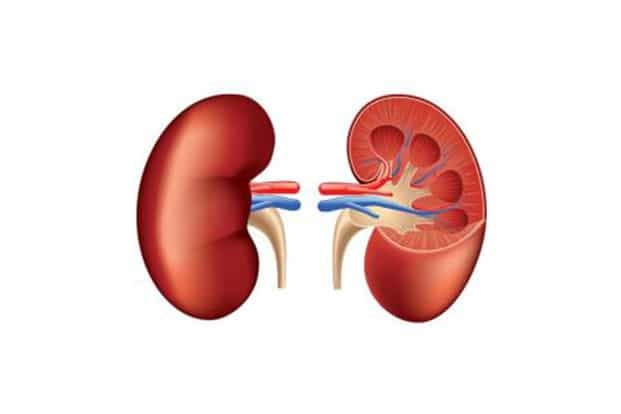 The kidney transplant surgeon will check the medical records of the patient and see diagnostic reports and accordingly advise whether they can undergo kidney transplant or not. Medmonks helps renal patients seek online consultation from some of the best kidney transplant doctors and also assist with end-to-end travel and treatment planning. Kidney transplant in India can be availed at any major hospital in the country that offers organ transplant as a specialty. The best kidney transplant hospitals are located in different parts of the country. Thus, an end-stage renal disease patient has a plenty of options when it comes to choosing the right hospital for kidney transplant. Medmonks can help you make the right choice by choosing the best doctor and hospital that fits your budget without compromising the quality or clinical outcomes. Moreover, each of these hospitals is located in major cities that are easily accessible to the medical tourists. These cities such as Delhi, Chennai, Mumbai, Hyderabad, Chandigarh, and Bangalore are connected to the rest of the world through direct flights. Further, the intra-city transportation system allows the patients and their attendants to travel safely from one part of the city to another. The presence of extensive metro rail and internet cab service (Ola and Uber) network further makes traveling from hotel to the hospital and vice-versa easier for medical tourists. Medmonks works closely with the top kidney transplant hospitals in India offering attractive packages to renal disease patients coming from abroad. These packages typically include the accommodation, airport transfer, food, and local travel expenses, in addition to the cost of kidney transplant in India. However, the benefits offered as a part of the package differs from hospital to hospital. Medmonks strives in passing maximum benefits to its patients. Medmonks helps medical tourists fetch the best package from any of the best kidney transplant hospitals in India. Apart from that, Medmonks helps patients and their attendants with everything that they may need before, during or after their visit to the country, including visa assistance, airport transfer, assistance with appointment booking, second opinion services and follow-up back in their country. The average cost of kidney transplant in India is one of the lowest the world while having amongst the highest success rates in the world. This is the biggest advantage that India has over other medical tourism destinations when it comes to the choice of end-stage renal disease patients. It is estimated that by traveling to India for a kidney transplant, a medical tourist typically saves no less than half of their money than what they would ideally spend in any other country. Kidney transplant cost in India is just 30 to 40 percent (or even lesser) of what it costs in the Western countries, including the US and the UK. Medical tourists from abroad may feel that they will have to spend additional money on logistics such as local traveling, accommodation, and food expenses. But the good news is that the patient is able to save a huge amount of money even when all these miscellaneous expenses are taken into account. The cost of living in India is far less as compared to other countries. Moreover, Medmonks works closely with the top hospitals for kidney transplant offering comprehensive packages to interested medical travelers that take care of all their expenses. By collaborating with Medmonks, the patient and their attendants can stay rest assured about the quality of medical treatment that they would receive. 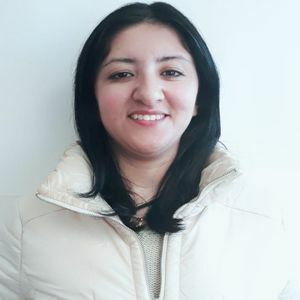 In addition, they can focus on their experience and leave worrying about the rest including their treatment and other things such as airport, hotel, and hospital transfer, visa issues and extension, recovery and rehabilitation arrangements, and accommodation arrangement for the attendants. The average cost of kidney transplant in India, however, depends on the approach used to transplant the organ. It can be conducted in a minimally invasive manner with the help of a laparoscope or in an open surgery (nephrectomy). The laparoscopic kidney transplant cost in India is starting from USD13,500 in India. On the other hand, the same procedure costs around USD 3,00,000 in the US. Kidney transplant cost in India associated with open nephrectomy is starting from USD6,500 in India. This is less than 5 percent of what the same procedure costs in the US (USD 4,50,000). Medmonks can help you fetch the best deal from some of the leading kidney transplant hospitals in India. Availability of top kidney transplant surgeons: The surgeons that conduct kidney transplant in India are some of the best in the world. They are highly skilled and experienced when it comes to end-to-end kidney transplant procedure. The kidney transplant surgeons in India are globally renowned for conducting organ transplant procedure using the best practices and a comprehensive approach. They also have the maximum experience in Living Donor Kidney Transplant in the world. State-of-the-art hospitals: Medmonks has a close network of some of the best kidney transplant hospitals in India offering state-of-the-art treatment to all categories of patients, including those who need a kidney transplant. These hospitals are equipped with the latest technology and tools that help surgeons conduct procedures with extreme precision and accuracy. Higher chances of successful surgery: A combination of highly experienced surgeons and advanced hospitals are the two leading reasons behind the soaring success rates of kidney transplant surgery in India. The best hospitals for kidney disease are renowned for maintaining higher success rates consistently for years. Major cost savings: The affordable cost of Renal transplant in India makes medical tourists save thousands of dollars as compared to any other country in the world.